When America met the car, it fell in love. Over the years, this love affair has turned into dependence. Americans rely on their cars more with each passing decade. The U.S. Department of Transportation reports that the nation’s highways saw an estimated 2.8 trillion vehicle-miles during 2000, a nearly four-fold increase since 1960. We trust in our vehicles, assuming they are built with safety foremost in the manufacturer’s mind. Automobile recalls are evidence that sometimes this trust is misplaced. When defective cars lead to injury or death in Northern California, our San Francisco defective vehicle lawyer is ready to help. These cases lie at the intersection of product defect and automobile injury law, and they require an understanding of the recall system, all areas expertise offered at The Brod Firm. Airbags began to hit the commercial vehicle market in the late 1980s and, in the ensuing decades, we’ve come to consider them a standard safety feature. This week, however, The San Francisco Chronicle reported that more than three million vehicles from Toyota, Nissan, and Honda are being recalled due to an air bag defect that could cause the passenger side inflator to burst and send plastic pieces flying in the vehicle. Recalled vehicles from the three manufacturers are believed to be in countries across the globe including North America, Europe, Japan, Latin America, and Africa. Overall, the recall includes an estimated 1.7 million Toyota vehicles, 1.1 million Honda’s, and 480,000 vehicles from Nissan. Other automobile companies may also be involved in the recall. The recall involves air bags manufactured by Japan’s Takata Corporation. A Honda spokesperson reported that the defect was the result of two human errors. The first problem occurred when a worker neglected to activate a switch that controlled a system to weed out defective products. Additionally, parts appear to have been stored improperly, a mistake that exposed them to humidity. In the United States, the Department of Transportation’s National Highway Traffic Safety Administration (“NHTSA”) can issue a recall when a motor vehicle or related equipment fails to comply with federal safety standards or, in more general terms, the vehicle or equipment includes a safety-related defect. 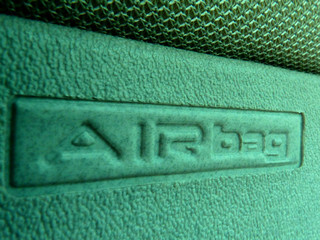 Recalls are discussed in an NHTSA-authored booklet titled “Motor Vehicle Safety Defects and Recalls.” Since the creation of the power in 1966, over 390 million vehicles, 46 million tires, 66 million equipment pieces, and 42 million child safety seats have been recalled in order to correct safety defects. In many cases, manufacturers initiate the recalls themselves. Others result from an NHTSA investigation or a court-order obtained by the NHTSA. When the NHTSA determines a safety defect exists in a vehicle, the law gives the manufacturer the option to repair the vehicle at no cost, replace the automobile with an identical or similar vehicle, or refund the full purchase price. In equipment cases, the manufacturer can either repair or replace the item. There are some limitations on remedies based on the age of the vehicle. Recalls are an important tool used by the NHTSA to keep our highways safe. It is important to recognize that recalls do not alleviate a manufacturer of other legal responsibilities. The NHTSA’s recall booklet specifically addresses the question of whether, once a recall has been initiated, an individual can still take independent legal action for injuries. The agency replies “Yes,” affirming that recall remedies exist in addition to other legal remedies. In simpler terms, this means that a personal injury or other claim still exists even after a recall has been announced. Attorney Greg Brod is a skilled San Francisco personal injury attorney with experience in both automobile accident and product defect cases. These areas of expertise combine in automobile defect cases. If you have suffered an injury or lost a loved one due to a defective automobile in Northern California, Attorney Brod can help you recover money damages. Call to arrange a no-cost consultation.